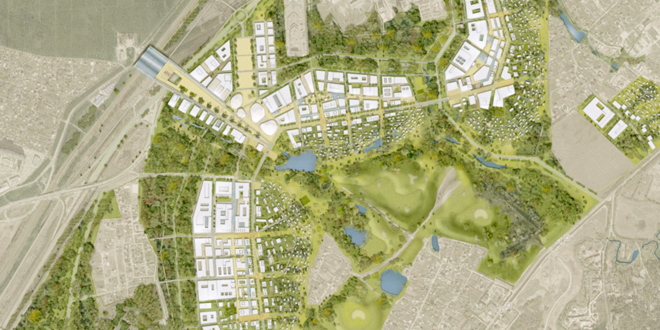 To make maximum use of the site’s features and landscape as a natural frame for the city. To create opportunities for fruitful interaction between people, bodies of knowledge, research projects and business institutions, which is the basic matrix of innovation. To ensure a high quality of life on the basis of adherence to the principles of sustainable development, thereby making the site especially attractive. An important feature of the plan is the possibility of phased implementation. The plan for the Innovation Centre is a development and rethink of the traditional town planning concepts of a linear city and the new urbanism. 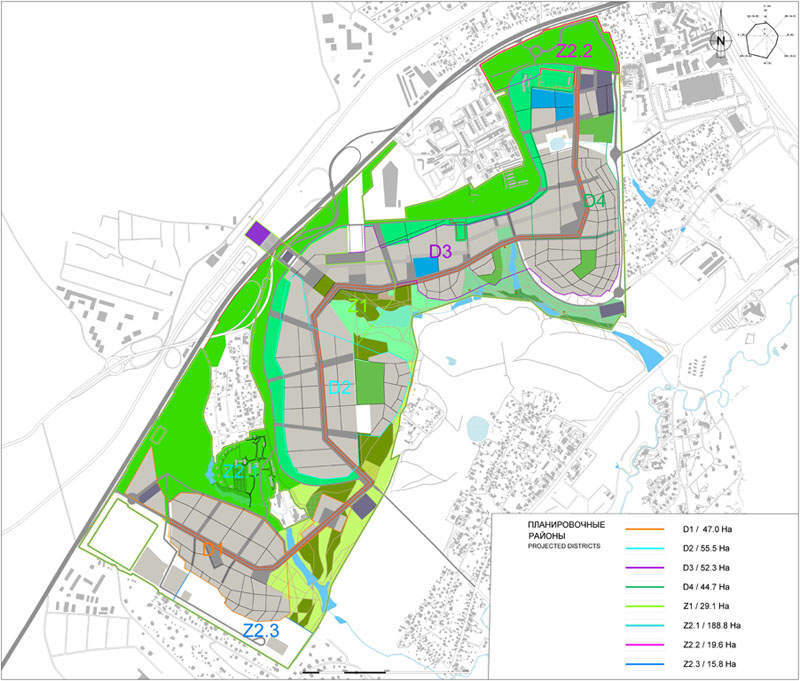 Skolkovo is being designed as a chain of compact districts integrated with the landscape, each of which has everything needed for life and work, which are interlinked and at the same time possess their own individuality. The linking transparent and conceptual axis is the Central Boulevard, which passes through all the districts. The city has been planned with a network of parks and other public spaces, which create its cohesiveness and unique look. The internal structure of each district has been designed in such a way as to ensure the optimal distribution of housing and work zones and to offer captivating views of nature and signature architectural features from any point in the city. A central zone is being created around the main square and connected with the main transport terminal, and this will be the site of a congress centre, hotels, cultural establishments and other public facilities that will attract visitors. The Skolkovo Institute of Science and Technology campus and the Technopark adjoin it from opposite sides. Each of these districts includes office and residential buildings. Further down the boulevard are mixed-purpose quarters where apart from offices for large and small technological companies there is also housing, service businesses and places for leisure and meeting, everything necessary for life and work. The low-rise compact development creates a comfortable, well-appointed and attractive urban environment. 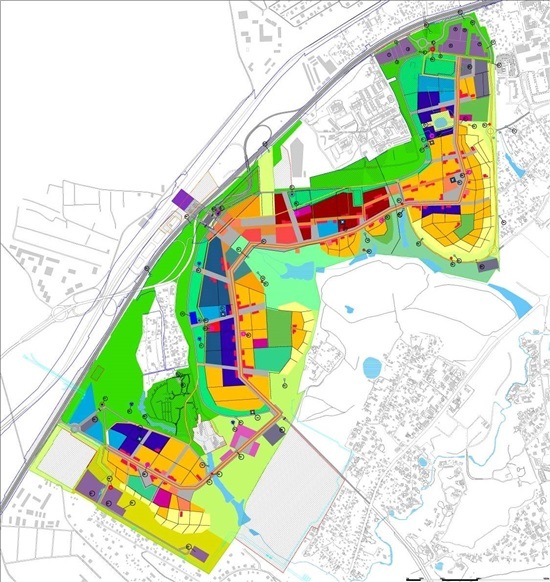 The approaches to creating civil engineering and transport infrastructure that are embedded in the Skolkovo general plan stem from the requirement to ensure the long-term sustainable development of the site without an increase in resource consumption.